Emotional intimacy has long been known to influence marital adjustment. 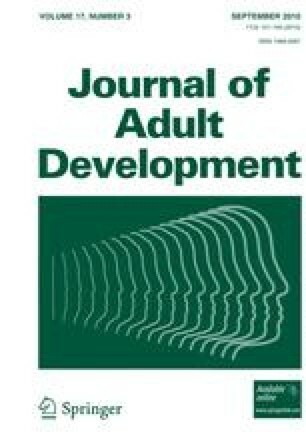 However, little is known about whether emotional intimacy experienced and developed during early adulthood predicts marital adjustment at a later time. Using longitudinal data from a sample of recent university graduates (N = 144) at five data points over a period of 25 years, it was found that higher levels of earlier emotional intimacy with a closest other and change in emotional intimacy over the first 8 years predicted Wave 5 marital adjustment. On average, women reported greater emotional intimacy than men at Wave 1. Neither change in marital status nor gender moderated the associations between emotional intimacy intercept and slope with marital adjustment at Wave 5. These as well as cluster analytic findings are discussed in light of Erikson’s developmental theory and applied to the idea that emotional intimacy may be a skill that can be developed and potentially modified.